Now the Pre-matric and Post-matric scholarship disbursement shall be done through state scholarship portal, Govt. of Karnataka. Pre Matric Scholarship is Released in State Scholarship Portal. To apply for the scholarship in State Scholarship portal, first you need to Create an Account. Just follow the below steps to create an account. Step 1 : Go to the official website of State Scholarship portal provided above. Step 2 : Next, Click on the “Create Account” link in the menu. 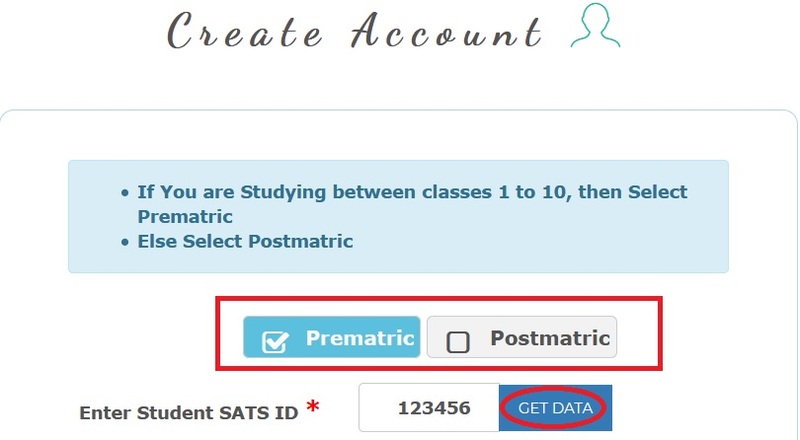 Step 3 : If you are Studying between classes 1 to 10, then select Prematric else select Postmatric. Step 5 : Fill the remaining details to get your user id and password. Step 6 : After successful registration you will receive a confirmation message to your registered email id or mobile number. The following schemes are available in the State Scholarship Portal. Let me know the status of scholarship and rejection details. OUR SCHOOL NAME IS PARKALA HIGH SCHOOL, PARKALA, BRAMHAVARA, UDUPI. IT WAS FOUND THAT THREE STUDENTS OF OUR SCHOOL (1-SC,2-OBC) REQUEST FOR SCHOLARSHIP HAS BEEN REJECTED. AS PER PARTICULARS AND DOCUMENTS PROVIDED BY THEM,THEY ARE ILLEGIBLE FOR SCHOLARSHIP. PLEASE PROVIDE AN OPTION TO EDIT SO THAT THEY COULD GET THE SCHOLARSHIP. I am a ST candidate. I want to know my scholarship application status for ID 096247406. STS number is 110166037. Status shows, no record. Please update. Send me my scholarship application details. I want to know about my son’s scholarship application status. My children’s SSP and NSP scholarship has been submitted but in the school they are saying that it is not verifying. Can you please help me? Please inform about SSP for Post Matric students. I am a general candidate but I don’t have caste certificate. What should I do? I want to cancel the SSP scholarship. Please help. I want to apply for this scholarship. When is the last date to apply? I am studying in 10th class. Please post any general scholarship names. ನಾನು ಪರಿಶಿಷ್ಟ ಜಾತಿಗೆ ಸೇರಿದ್ದು ಈಗ ಬೌಧ ಧರ್ಮ ಸ್ವೀಕಾರ ಮಾಡಿದ್ದೇನೆ ಈಗ ನಮ್ಮ ಮಕ್ಕಳ ವಿದ್ಯಾರ್ಥಿ ವೇತನ ಅರ್ಜಿ ಸಲ್ಲಿಸಬೇಕಾಗಿದೆ. ಧರ್ಮ ಆಯ್ಕೆ ನಂತರ ಜಾತಿ ಕಲಂ ಬರುತ್ತದೆ. SC ಮತಾಂತರ ಹೊಂದಿರುವ ವ್ಯಕ್ತಿಗಳು ಅಲ್ಪ ಸಂಖ್ಯಾತರೇ? ಹಾಗಾದರೆ ಸರ್ಕಾರ ಆದೇಶ ಸುಳ್ಳಾ? Software ದಲ್ಲಿ ಧರ್ಮ ಬೌಧ ಆಯ್ಕೆ ನಂತರ ಜಾತಿ ಪರಿಶಿಷ್ಟ ಜಾತಿ ಎಂದು ಸೇರಿಸಬೇಕು. My son is studying in the Oxford school, Bangalore. When I entered my son SAT number for the documents but website shows its already registered and the mobile number is not belonging to us. Regarding this issue, we enquired concerned authority but they are not responding us. What can I do? Wwho is the responsible person for this issue? Kindly suggest me because only three days left. My child is studying in HPS St.Joseph English Medium School TB dam, Bellary. Dise code is 29120507857, I registered in NSP, But when I am registering my child in SSP, a dialogue box is showing, “Your Grade is not updated, Please check with your school”. When we ask at school they are replying that we updated the information. Now what the students can do. Only four days are remaining for last date. Please guide me what to do. I want to edit the data of SSP but I am not able to do so. Is there any option to withdraw the application and fill it again? I have to know that, who can apply for this scholarship? I have been trying with correct NSP ID but it is saying ‘Please Check’. Please help. SSP is not accepting caste certificate number though it’s right. It is saying ‘number is not found in naadakacheri’. Please can you tell, when is the last date to apply for scholarship? Whether government official children are eligible for scholarship. We belong to Reddy Community, please let me know what is the ceiling for Income to apply for scholarship for my son. I am doing B.Arch. Is there any scholarship for me? If yes, please let me know. Please give the option to edit Sadhar number after final submission of Premetric scholarship. Even I am waiting for that option to come, please provide that option soon, it would be very helpful. Please give some extra time for login SSC and NSP. I need the link to create account. Please let us know, when will the Post Matric scholarship for OBC Engineering students begin? BY MISTAKENLY, I HAVE ENTERED MY BROTHERS INCOME ID IN THE PLACE OF MINE, WHAT CAN I DO? Ssp ಯಲ್ಲಿ ವಿದ್ಯಾರ್ಥಿ ಮಾಹಿತಿ ತಪ್ಪಾಗಿದೆ ಅದನ್ನು ತಿದ್ದುಪಡಿ ಮಾಡುವುದು ಹೇಗೆ ಎಂಬುದನ್ನು ತಿಳಿಸಿಕೊಡಬೇಕಾಗಿ ತಮ್ಮಲ್ಲಿ ವಿನಂತಿ. Kindly inform, how to change the cast certificate number which was already exchanged to one student to another? We tried to change but correction not happened? I have forgotten user ID but I remember password, kindly help me in this regard. IT WILL SEND TO YOUR REGISTERED MOBILE NUMBER, DON’T WORRY ABOUT THAT. We are 8th standard students, we are not able to update the grade. What to do? CONTACT YOUR SCHOOL FOR UPDATE THE GRADE. After entering student and parents aadhar details it says, ‘go back to home’, I tried several times but no use. Please help. Without e-sign printout, can we give scholarship document to school? Kindly reply. By mistakenly, I have entered my friend’s caste certificate number. How can I change it? I am studying 10th in Addagal Village & Srinivaspur, Kolar. My school DISE code is 29191200505 and SATS number is 076998067. I want to edit my application, please help me. I want to know, ow to correct wrong entry in the submitted form (ie) SATS Number & Aadhar Card Number, Caste, Income Certificate Number. I am not getting Login page. Please someone help me. I belong to Karnataka. Now I am pursuing MBA in Maharashtra. Am I eligible for scholarship? There is some problem in SSP login. I have updated my school grade. But when I fill my application, it shows “your grade is not update”. But there is no problem in school records. How I can apply my state scholarship? Please tell me the process. I want to know, what is the next step after registration. When I enter SATS number, it says “OARS:server is not responding”. Why? Which religions are eligible for this scholarship? From three days, I try 100 times but it shows most of Custer searching please try (or) server problem. My SATS ID is changed to another, what is the solution for this and how to remove submitted application? Please help me to create an account. After acknowledgement, what can we do? In Windows 10, this web site is not opening. Please give me solution. I want to create an account and when I click Post Matric, it will show as “Coming Soon”. Please help. SSP is not working properly, we type correct password but portal is showing ‘error password’. I entered correct student Aadhar name and number but it shows error. I don’t find how to solve. It shows aadhar verification service is not available, try after some time. Please resolve all these problems. In the application, I have entered my name in the place of my father name. I found it after submission. What should I do now? Is there any solution for my problem? Please tell me, how to edit the SSP Karnataka application after final submission? After applying the scholarship, how I will know whether my scholarship form is registered (or) not. Please share the website to know the registered students names. I am trying to get my student’s password by clicking forgot password but OTP goes to unknown phone number. I also guessed password in different ways but I am not getting correct password. Please help us. I want to know that, whether it is applicable for Government school (or) private school. PLEASE TELL ME, WHAT IS THE NSP REGISTRATION ID? Please let us know, what is SATS number. Please tell me, how can I apply for NMMS scholarship? 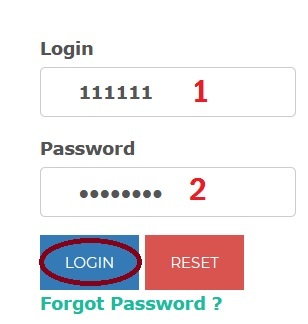 I login with correct password but it says invalid user ID and password. Since 3 days, I am trying to complete the application but it is showing “Server Error in ‘/’ Application” and Runtime Error. In the portal, so many phone numbers are there but no body is receiving the phone. Is there any technical problem? Kindly receive the phone and please guide to callers. My caste is 2A, but I got 93.44 percentage in SSLC exam 2018, can I apply for this scholarship? If anyone knows, what is SATS ID, then kindly intimate here. It is a unique code given to each student for applying scholarships and other incentive programs. You should enquire about it to the respective schools. SEARCH WITH YOUR SCHOOL NAME AND STUDENT NAME, YOU WILL GET SATS AND SCHOOL ID. I have registered and applied successfully. Now the school says, it should be done through STS school login. Please reply. Please tell me the last date to apply for this scholarship. Already I created account but I didn’t add the bank details, how can I add? Login first and you will find the edit option there. Please guide me to upload Photo and Bank details of students. I entered my user ID and password but it is asking again and again but I entered my correct Email ID and password but it is not working. Please help. I need the complete steps to apply for SC scholarship. PLEASE GUIDE ME TO UPLOAD PHOTO & BANK DETAILS. I applied for students scholarship through NSP but when I logged into SSP it is asking enter valid NSP ID even I have entered correctly. What is the remedy to connect between SSP and NSP for minority students who are studying in our school. Please tell me, how to get the list of schools registered in SSP? Let us know, which community students can apply for this scholarship?